When it comes to growing cacao, Haitians know what they are doing. A centuries old tradition, Haitians have mastered the art of growing some of the world’s best cacao. Grown in Northern Haiti, our cacao is chosen with care and presented as a special and rare treat. We transform the farmer’s harvest into products so that they may reap financial benefits from crops. 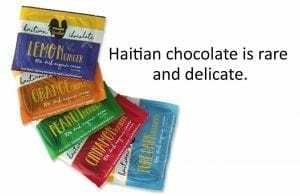 The Rooster is excited to be one of the few to introduce Haitian chocolate to the U.S. market. 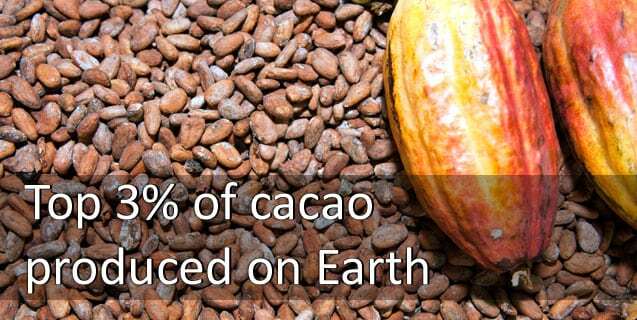 We are not the first and I’m sure we will not be the last, but chocolate is key to a more sustainable Haiti. What does Haitian cacao have to do with sustainability? It employs thousands of Haitian farmers. The more cacao we buy, the more money farmers are able to make. The more money farmers make, the bigger the possibilities become. Our U.S. and Haitian staff share a dream of an autonomous Haiti with a thriving economy. It is our belief that chocolate will take our efforts to a whole new level. Help spread the word about our premium cacao — start by eating a delicious gourmet bar, then introduce us to markets near you. You can take it a step further and test our chocolate on your unsuspecting Valentine. Their taste buds will thank you. Want to go big? Then check out Ben Feldman’s Haitian Chocolate Project: Bar One. Ben bought several sacks of our cacao beans to launch his own chocolate bar line in the San Fran area. Ben’s goal is to support farmers though our work in Haiti. Ben shares his experience and knowledge of Haitian cacao on his kickstarter campaign page. Check out his video featuring our very own Fedner Exantus and Chris Nicaise (co-founder of Singing Rooster).